A leader isn’t just the one in charge, a leader must inspire, motivate, and above all else, be willing to sacrifice for the team. There is a wonderful leadership discipline that is unfortunately under-utilized in our society. Some refer to it as “servant leadership”, others call it “beyond you leadership”, and others just say that their job is to help those that work for them better themselves. However you phrase it, the primary theme is that you serve the ones you lead. I recently attended Leadercast Live, which is a one day event that hosts fantastic speakers and leadership experts who all present on a central theme. If you are at all serious about developing as a leader, you owe it to yourself to attend a live event or one of the local satellite feeds. This year’s theme was Beyond You Leadership. In its most simple form, Beyond You Leadership means that, as a leader, your job is to help those under you develop into the best worker/person they can be. Sounds simple enough, right? Well, it isn’t easy. Nothing in real leadership ever is. However, with focus, determination, and a desire to truly grow as a leader, you can adopt this style and make it work for you. Obviously, one Primer article is not enough to give you all you need to know about becoming a servant leader. It’s been discussed by everyone from Lao-Tzu to Forbes Magazine. But, what I can do is give you a great jumping off point to start your journey. After all, that’s what leadership is, a journey. And what would a journey be without some excellent guides to help you along the way. 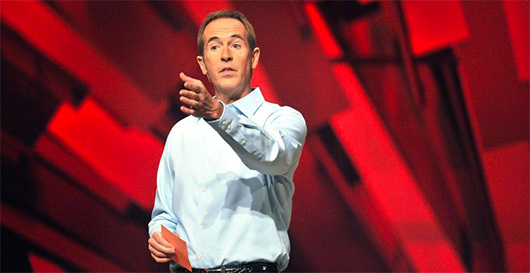 Through his books and presentations, Andy Stanley not only does an excellent job of explaining what servant leadership consists of, but also how to do it, and how it can benefit you and those you lead. True leaders fearlessly and selflessly empower leaders around them, as well as those coming along behind them. This means that leaders are not afraid of someone under them taking their job. A leader’s goal is to help those around them achieve their goals, even if it means that they eventually surpass them. Andy tells his staff his job is not to fill their cup, but to empty his own. This means that he can’t possibly teach them everything they will need to know, but he will teach them everything he knows. If you have experience that will help your team, you owe it to them to share. The value of our life is always measured in terms of how much of it was given away. We don’t celebrate accumulation at funerals, we celebrate generosity and selflessness. The value of our leadership is measured the exact same way. It’s great that you made it to where you are even though no one cut you a break, and you had to fight tooth and nail to get there, but you probably resent those people who tried to hold you down. But why do you have to be like that now that you’re here? As a leader, if all you do is horde your power, your legacy will die alone. But, use your power to help others succeed, and your legacy will be celebrated and live on in those you helped. You’re responsible for your team’s results, so why wouldn’t you want to do everything you can to help them produce better results? Dr. Cloud is a clinical psychologist who uses his education and experience to help corporations and their leaders improve. He tells some great stories, and he has a very down to earth way of explaining his theories. You can only win trust by winning hearts. It can’t all be about you. If you’re only a boss because you want to be in charge and get more money, you won’t be a leader. You have to genuinely desire to understand the tasks and concerns of those you lead. People need to understand why they do what they do. If you want the people you lead to be fulfilled, it can’t just be about the job. Heck, if you want to be fulfilled, it can’t just be about the job. Find the purpose in what you do, and help those you lead find it too. What is the end result? Day to day, the folks on my team sit at a desk, make phone calls, send emails, and leave messages. Doing this for 40 hours a week can get monotonous very quickly. But, they do it, day in and day out, with smiles on their faces and songs in their hearts because they know what the end results of their efforts are. They know that they are helping working adults better themselves, their careers, and the lives of their families by earning a college degree. Help your team understand the end result of their tasks. Do you make lives better? Maybe indirectly? If you look hard enough, you’ll find it. Real leaders are able to give up control. When something needs to be done, and someone is capable of doing it, let them do it. Don’t just hand over the power willy-nilly though. That’s just asking for trouble. Define what they can do with the power. Give them clear expectations and explain why it’s good for them to have this power. Then, see how they do. If they do well, let them know. If they fail, help them see where they fell short. No matter what, you’ll end up knowing more about your team than you did before. Simon is my current favorite leadership teacher. He takes leadership and human motivation and puts them in incredibly simple terms. He’s also the record holder of the second most viewed Ted Talk “Start With Why”. 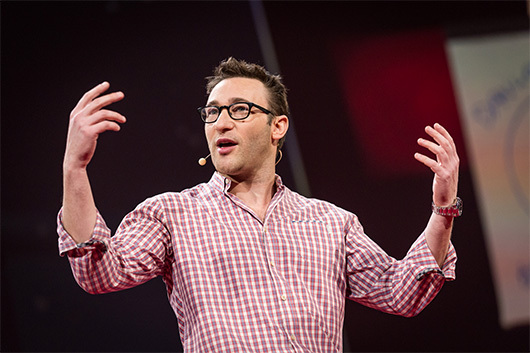 (Visit Ted.com to see how Ted Talks can change your life) His latest Ted Talk, “Why Good Leaders Make You Feel Safe”, is also excellent. Even with him being my favorite, I am only going to share one point and two videos. The first video is a short clip that gives you a quick insight into his work. The second video is a full lecture at approximately 45 minutes long, but it is a “must see” for those interested in developing as a leader. The results of leadership cannot be measured on a daily basis. Just like exercise, it takes constant work, over a period of time, to see the results of your efforts. You can’t expect to go to the gym once and then come home with well-defined arms and a firm, flat stomach. So why would you expect to do one team building exercise, or read one leadership book and suddenly expect to have a cohesive, high functioning, trusting team? It’s important to measure your progress, but don’t get caught up in day to day progress. It takes time. Why Organizations Need a Circle of Safety gives a quick look into Simon’s philosophy. If you like what you hear, set aside some time to watch the next video. Why Leaders Eat Last is an excellent insight into why the whole servant leadership idea works. As I said, there is a lot to study and learn about servant leadership, and you never truly stop learning. And it’s true, not everyone’s personality fits right with this style. But, if you feel that it is a good fit for you, and you’re willing to put in the work, the journey of servant leadership can be a very rewarding experience. If you would like to discuss servant leadership further, or have questions about how you can apply it to your life, post in the comments section. I’m interested in hearing your thoughts and collaborating with you.